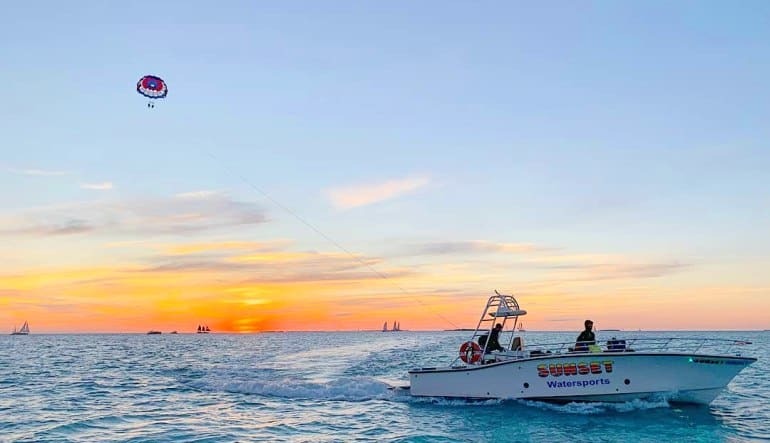 Get the best views of Key West from below and above! 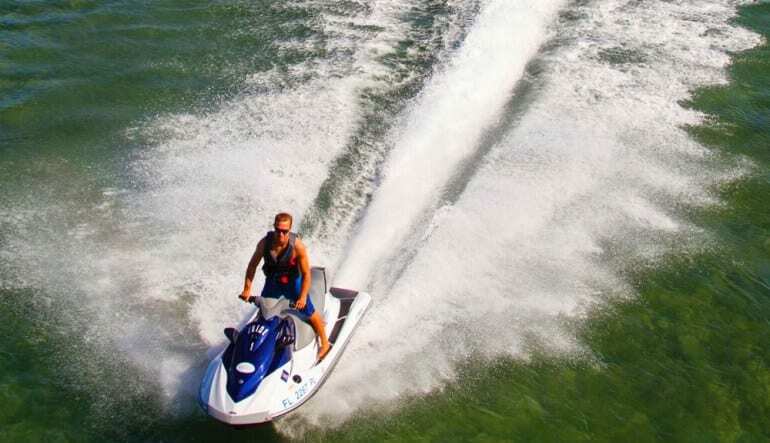 Take control of a jet ski during a tour around the island before parasailing over the clear waters. 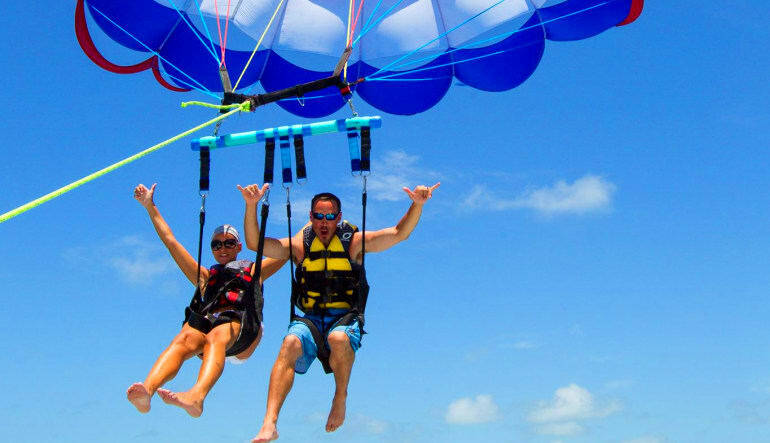 Experience Key West by doing not one, but two thrilling adventures on this combination tour. 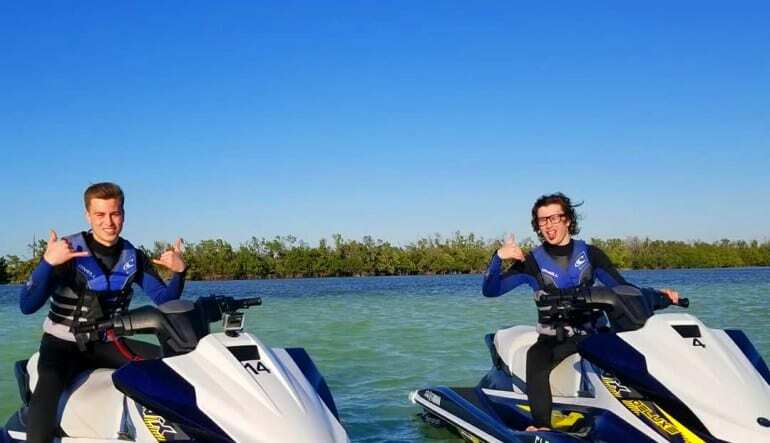 Your day will start with a 1.5 hour jet ski tour around the island. This guided tour navigates through 28 miles of pristine waters, and includes multiple stops. Highlights will include the historic Key West harbor. Explore submarine pens, before heading to the Southernmost Point of the continental US. Don't forget to capture a photo of its famous buoy! These wave runners are replaced yearly, so you're guaranteed the newest models! EACH TOUR INCLUDES ONE JETSKI PER COUPLE AND A TANDEM PARASAILING EXPERIENCE! After getting familiar with Key West up close, get the best view from above! 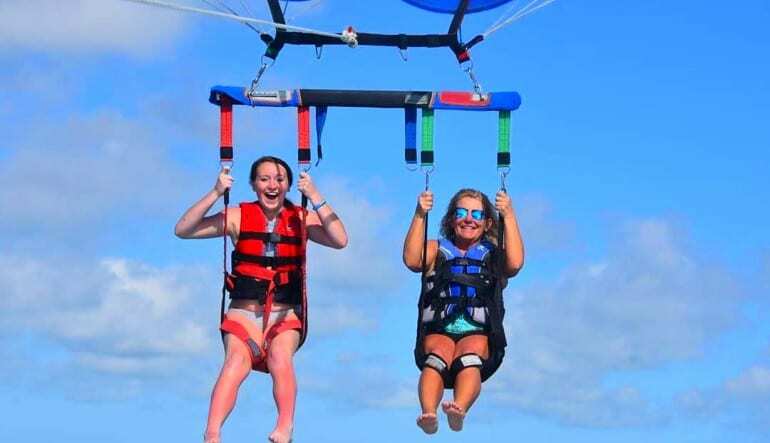 Gliding over the crystal blue waters, you'll see Key West from this unique vantage point. You can fly high and dry or tell your captain to dip your feet in the sun soaked waters. It's up to you! All boats are Coast Guard inspected and certified, equipped with the newest top of the line equipment. 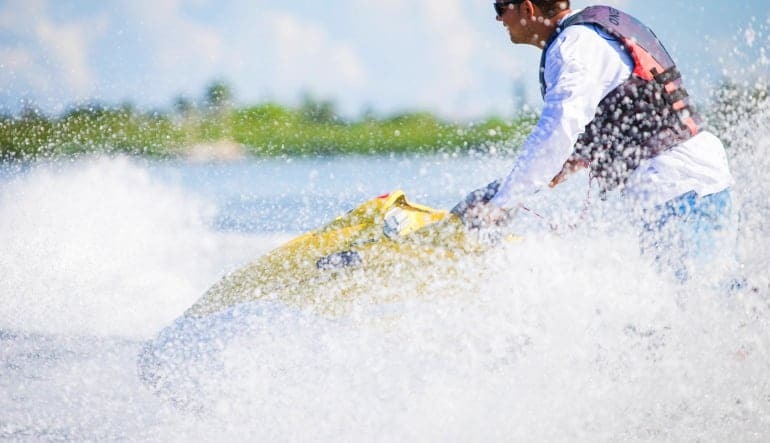 Get the most Key West has to offer with these exciting excursions. What better way to learn about the island's popular sites, from both on and above the water!